Your home heating and air conditioning system is one of your biggest investments so maintaining it on a regular basis is important. Manufacturers require annual check-ups to keep your warranty valid, therefore air conditioning and heating system check-ups twice a year maintain your manufacturer’s warranty. Welcome to the Comfort Club where semi-annual check-ups enables us to identify minor problems (like small refrigerant leaks) before they lead to expensive repairs (like a $2,500 compressor replacement). In addition, properly maintained heating and air conditioning equipment runs more efficiently, which can save you money on your energy bills. *Comfort Club Membership paid in full upfront. Call for additional unit pricing. Join The Comfort Club & Save! Are You A Comfort Club Member? •Our retail fee for a 18-point air conditioning or heating check-up is $69. These check-ups are included with your Comfort Club Membership. •Scheduled by the homeowner, semi-annual check-ups allow us to track the performance history of your air conditioning and heating system. If a reading appears abnormal, we will have the ability to compare it to readings from prior visits. •The best maintenance won’t prevent normal wear-and-tear so our maintenance program customers receive a 15% discount on all replacement parts. •Our Extreme Comfort Air Conditioning and Heating service trucks are fully stocked with parts so we’re able to repair 99% of our calls on the first visit. •As an Extreme Comfort Maintenance Program contract owner, you receive our best discount of 15% off our hourly labor rates. •It is common for service companies to charge a fee for the time it takes to drive to your home (referred to as “Trip Charge” or “Travel Time”). Depending on distance and demand, this fee can be as high as $100 or more. Our Maintenance Program customers never pay a Trip Charge. •EPA (Environmental Protection Agency) tests have determined that as little as 1/10th of a centimeter of dirt or dust on an air conditioning unit coil can reduce efficiency by as much as 20%. A 20% loss in efficiency means the average home owner may be wasting as much as $300 each year. •Dirty coils are also the #1 cause of bacteria growth in duct work. Poor indoor air quality has been directly linked to dirty coils and drains. Dirty coils restrict air flow, expel odors, damage motors, decrease comfort, and lower a unit’s life expectancy. •Guaranteed service within 24-hours of contact 365 days a year weather permitting. •Your time is valuable so Maintenance Program customers receive a courtesy call 20-30 minutes prior to arrival. •New air conditioning and heating equipment can be a big investment. Extreme Comfort Maintenance Program customers receive a minimum of a 10% discount off our already low, volume discount pricing. •Refrigerant prices have risen due to mandates passed by the EPA. Extreme Comfort Maintenance Program customers receive a 15% discount off R-22 or 410A systems. 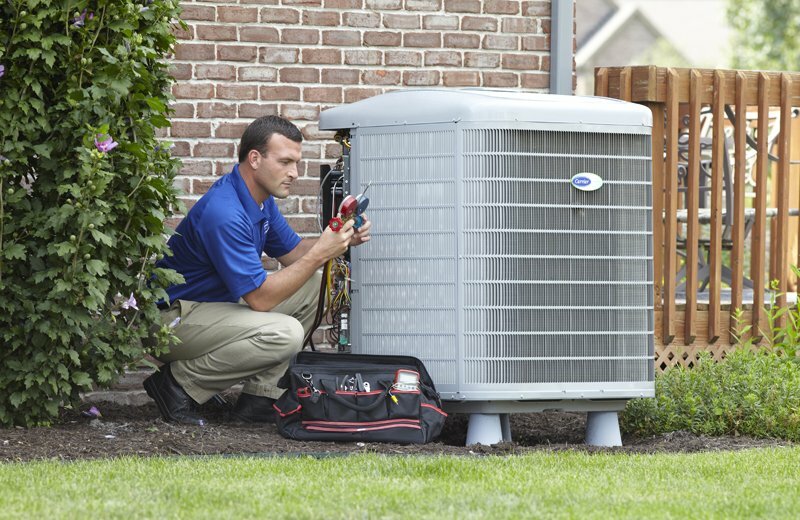 •A leak check or leak repairs may be necessary before adding additional refrigerant. •There is no charge for transferring your Extreme Comfort Maintenance Program to a new home owner should you sell your home. The Maintenance Program stays with the equipment. •All replacement parts are warranted for a minimum of 1 year, regardless of manufacturer’s limited warranty. •All of our labor is guaranteed for 60 days. During this 60 day grace period following service, there is never a charge to re-diagnose your system. Join the Comfort Club or request more information @ (972) 234-2336 or use the form below.